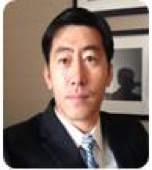 Dongyi (Tony) Du, MD, PhD is the acting Branch Chief in the Division of Epidemiology at the Center for Devices and Radiological Health at the FDA. Dr. Du received his MD in Preventative Medicine from Norman Bethune University of Medical Sciences, China in 1994, and his Ph.D. in pharmacoepidemiology from University of Maryland at Baltimore in 2008. Dr. Du joined the CDRH as an epidemiology reviewer in December 2013 and was selected as acting branch chief December 2015. Dr. Du has been very involved in the post-market surveillance of medical devices and is an expert in the use of real world evidence for safety and effectiveness evaluation of various medical products.